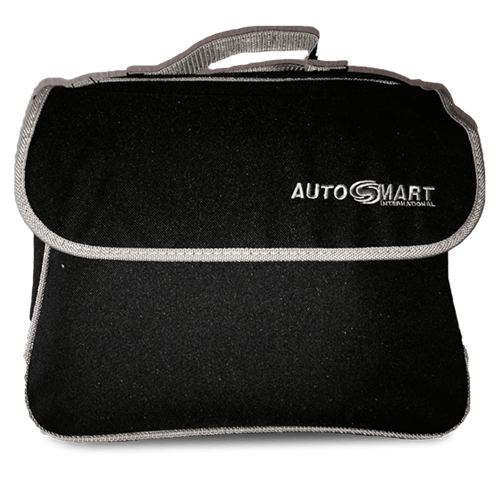 Make Valeting easy with Autosmart's new Black Valet Bag. Clear Glass 500ml - Rapid Sprayable Glass Cleaner. Powerful Universal Cleaner 500ml - Multi purpose surface Cleaner. Great for Wheels! Finishing Touch 500ml - Vinyl, Rubber & Plastic Dressing. High Gloss Wash 500ml - Deep cleaning shampoo enriched with Carnauba Wax. Luxury Wax Polish 500ml - High Gloss Polish. Silicone Spray Berry Fruits 400ml - Silicone Dressing. Brisk 400ml - Dry Foam Upholstery & Fabric Cleaner.